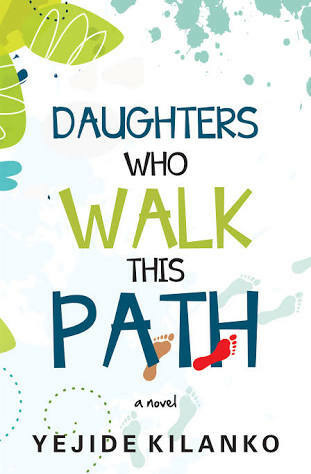 Literary enthusiast, Victor Adedayo wrote a letter (published HERE – CLICK TO READ) to his friend Okechukwu, thanking him for recommending Daughters Who Walked This Path by Yejide Kilanko. Okechukwu has written back. Enjoy! It would only be right if I started this letter with express apologies for my unintended misdemeanors. I’m sorry it has taken me aeons to respond to your letter. I have a new preoccupation that is daily proving to be a voracious consumer of my time, and as I have come to discover, hitting the Facebook “Like” button on a letter so endearing and actually responding to the same do not weigh equally. Accept my apologies also for that plan of ours that seemed dead on arrival — the radio programme idea you conceived of and sold to me. I was absolutely in support of it, as you could tell from my instant acceptance of the idea, but one too many factors militated against my participation. Proximity was clearly an issue; the barracks where I worked and lived was at the back of beyond. Moreover, the road that led from the base to civilization and back was heavily punctuated by death traps in the forms of potholes and open manholes. It also happened that at some point, I was the only doctor in the entire clinic where I worked, because those military hombres who take pride in the stars on their shoulders, but lack quotidian wisdom did not think it right to request reinforcement even when a batch of corps members were in the Orientation Camp. They had me working slavishly for nothing but their parsimony, as they didn’t want to pay an extra hand. Even sleep became a luxury too pricey. Books, indubitably, have an uncanny way of attracting beautiful minds and birthing invaluable relationships. 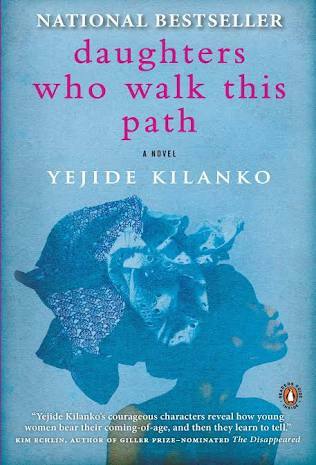 It is no surprise that we seamlessly connected at first sight, the connector being Yejide Kilanko’s Daughters Who Walk This Path. It goes without saying that Yejide conceived of an idea, masterly pieced strings of words that became paragraphs, then chapters, and — BOOM! — that awesome book. The story takes one on a sinusoidal emotional ride, with crests of sunniness and nadirs of gloom. From the introduction of the character, Bros T, I had an inkling he was up to no good. Notwithstanding, I was agape with bewilderment when he made a habit of forcibly violating his cousin, the naive Morayo. Poor thing. After countless nights of being under his weight (literally and figuratively), she screwed up some courage, set aside her discomfiture, and broke the silence. I didn’t think there was any moment more appropriate than when she chose to spill the beans — when the entire family was dining. Her parents might not have handled the situation properly, but who was to blame? They were neophytes in the situation. I probably would not have done better if I found myself in their position. 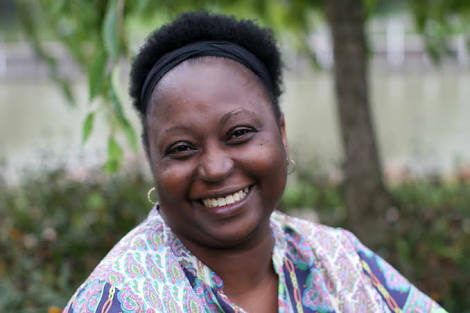 One subtle gleaning Yejide’s book offers is that Providence allows us some portions of bad experiences to help us and others who will walk our paths of misfortune heal appropriately. Aunty Morenike was Morayo’s succor. She herself was sexually assaulted by Chief Komolafe, a friend of her father’s. Even though it was a one-off session, it left her with child — an immutable reminder of the night she would give anything to forget. Did you notice the connecting thread between Aunty Morenike’s experience and Morayo’s? Their respective violators were no strangers to their families, lending credence to the Yoruba adage that says, “Kokoro to n j’efo, ara efo lo wa,” which, in English, means the insect that eats the leaves of the vegetables resides among the leaves of the vegetables. I admire the role she played in helping Morayo heal. She is next to my favorite character. Sad but true, society has been manipulated to exculpate Chief Komolafe, Bros T and their ilk, leaving their victims irreparably scarred. Worse yet, many a time, the victims are blamed for their lot. It is this same society that frustrates the political ambitions of ostensibly credible candidates, like Mr. Tiamiyu, but ensures that rogues and nitwits who flaunt their wealth enjoy uninterrupted tenures back to back. Before we cast stones at society, bear in mind that society largely comprises you and me, and a few other folks. So, we are all culpable, and as the popular accusatory saying goes, we deserve the leadership we get. Finally, allow me introduce my favorite character, Eniayo, Morayo’s younger sister and sidekick. Her birth wasn’t the most blissful; her mother was accused of breaking some traditional pregnancy rules, which made Eniayo turn out to be “afin” (the Yoruba word for albino). As an aside, a harebrained superstitious belief has it that copulating when the sun is up earns a couple a child with albinism. Eniayo was that somewhat rambunctious child with life-giving humour, who would not be too fazed by how different she looked from other children. Despite the grim events she witnessed through the lens of a child, her sense of humour was preserved. To answer your “hunger” question, I am really famished. I could use some Nigerian jollof rice and fried meat (see what Ghanaians have caused, we now have to include a demonym to describe the jollof rice we want), and a face-to-face meeting with you to discuss the book and the raconteur. Perhaps, it should be at Sweet Sensation, Abeokuta, to recreate the day we first met. Okey Erinne is a quintessential logophile and a bibliophage. He is a self-critic and lover of eclectic literature, with an acclaimed bent for works of African origin. Follow Okechukwu on Instagram – Here!